There hasn't been any information about the new season of FX's American Horror Story in several months, but series creator Ryan Murphy dropped a surprise announcement today, confirming Season 8 will in fact be the crossover season between the first (Murder House) and third (Coven) seasons. Ryan Murphy confirmed the crossover season on Halloween 2016, stating that it wouldn't happen in Season 7, but that it was being planned, and now it has been confirmed for Season 8. No cast members have been announced at this time, but that may happen sooner rather than later. Here's Ryan Murphy's tweet below, confirming a September premiere date as well. "The Coven/Murder House AHS crossover season won't be happening next year...because it's happening THIS YEAR. AHS #8 WITCHES RULE THIS SEPTEMBER." 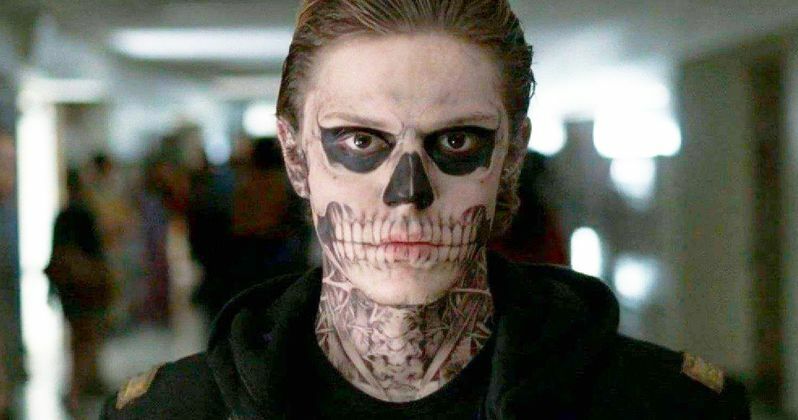 When Murder House first premiered in 2011, fans had no idea that American Horror Story was actually an anthology series, which was revealed after the Season 1 finale. The Murder House season follows a family who moves into a restored Los Angeles mansion in 2011, and come to learn that the house has been haunted by the ghosts of its former residents. While the second season, Asylum, was set at a Massachusetts insane asylum in 1964, the third season, Coven, was set in the year 2013, the year the show aired, following a coven of witches in New Orleans. There had been theories for years that, despite Ryan Murphy's constant claims that the seasons were not connected, and Murphy finally confirmed those rumors on Halloween 2014. It was then that Murphy also confirmed the return of Lily Rabe's character Sister Mary Eunice, from the second season, Asylum, would be returning in the 10th episode of the fifth season, Freak Show. While no cast members have been confirmed, one of the biggest casting questions will likely be whether or not Jessica Lange will return to the show this season, since she was a major character in both Murder House as Constance Langdon, and Coven as coven leader Fiona Goode. Lange starred in the first four seasons of the hit series, picking up two Emmy's for, ironically, her performances in Murder House and Coven, while being nominated for her performances in the other two season as well. The Murder House cast also included Dylan McDermott, Connie Britton, Taissa Farmiga, Frances Conroy, Kate Mara, Denis O'Hare, Jamie Brewer and the only two actors who have starred in all seven seasons to date, Sarah Paulson and Evan Peters. The Coven cast included Lange, Paulson, Peters, Farmiga, O'Hare, Conroy and Brewer, along with Lily Rabe, Emma Roberts, Gabourey Sidibe, Angela Bassett and Kathy Bates. This update from Ryan Murphy's Twitter is the first we've had on the new season in months, with Murphy revealing in January that Season 8 will be set sometime in the future. There is no indication as to when production may begin, but if a September premiere date is being eyed, filming will likely start soon, so hopefully we'll get more on casting in the near future. Take a look at Ryan Murphy's tweet below.